High blood pressure is often difficult to diagnose unless you’re tested because it doesn’t cause many symptoms. This means you can live with hypertension for quite some time until it becomes very severe and a cardiac-related event occurs as a result. 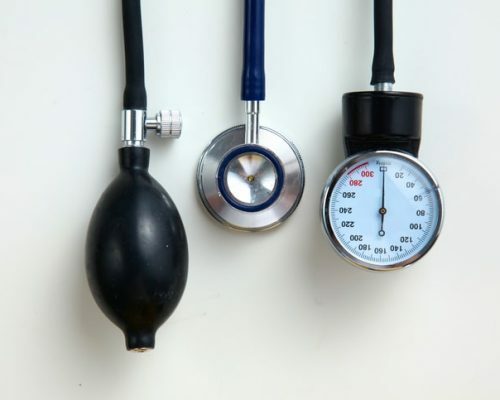 Living with hypertension is very dangerous, as it can damage the arteries and veins, eyes, and above all, the heart, greatly increasing your risk of heart attack or stroke. Aside from a cardiac event occurring when blood pressure is severely high, there is another symptom to look out for which could save your life. Among those with high blood pressure – or malignant hypertension, where blood pressure spikes suddenly and extremely – they may experience a decrease in urinary output. Reduced urinary output is considered less than 400 ml over 24 hours. Whenever a person experiences reduced urinary output without changing your fluid intake, it could be a sign of many health issues, so it’s important that you speak to your doctor. Reduced urinary output in malignant hypertension could be a sign of a hypertensive crisis. Other symptoms of malignant hypertension include a headache, vision problems, chest pain, nosebleeds, blood in urine, nausea, and vomiting. Your blood pressure reading, if you have malignant hypertension, would read 180/120 mmHg. If you experience blood pressure levels this high, seek out medical assistance right away.